A jump in third-quarter sales and a surprise net profit show the $57 bln JD.com is reining in costs while keeping up with its larger e-commerce rival. But Alibaba is muscling in on key JD.com domains like logistics and food. This will add volatility to already thin margins. 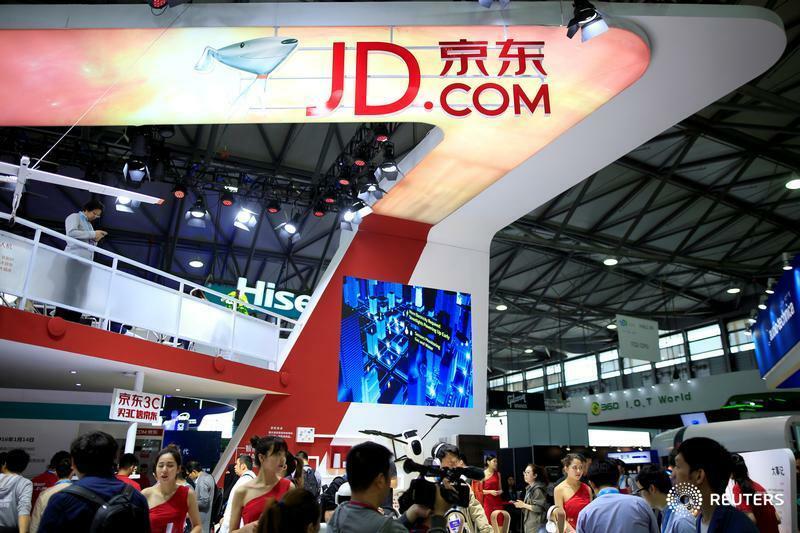 A sign of China's e-commerce company JD.com is seen at CES (Consumer Electronics Show) Asia 2016 in Shanghai, China, May 12, 2016. Chinese online retailer JD.com on Nov. 13 reported revenue of 83.7 billion yuan ($12.6 billion) in the three months to the end of September, an increase of 39 percent from the same period last year. The company reported a net profit attributable to ordinary shareholders of 1 billion yuan for the quarter, compared with a net loss of 467 million yuan from continuing operations a year earlier. Analysts polled by Thomson Reuters were expecting a mean net loss of 213 million yuan. On Nov. 12, JD.com announced that the value of all goods and services transacted on its shopping sites reached $19.1 billion during the Singles Day Shopping Festival, which ran from Nov. 1 to Nov. 11. Separately, Alibaba said transactions on its platforms topped $25.6 billion during one day, Nov. 11, also known as China's Singles Day. Alibaba's one-day sales figure was up 39 percent from a year earlier. JD.com ADRs were up around 6 percent at $42.50 at 6.03a.m. EST.